Billion-dollar question: Is China&#39;s &#39;Silk Road&#39; really worth its cost? Five years on, Xi has found himself defending his treasured idea as concerns grow that China is setting up debt traps in countries which may lack the means to pay back the Asian giant. 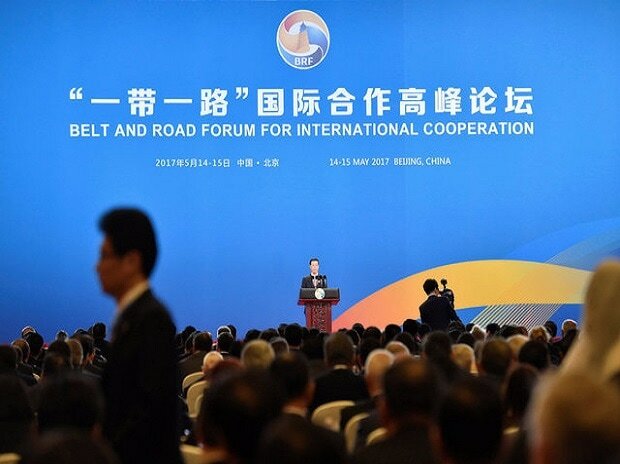 "It is not a China club," Xi said in a speech on Monday to mark the project's anniversary, describing Belt and Road as an "open and inclusive" project. During a visit to Beijing in August, Malaysia's Prime Minister Mahathir Mohamad said his country would shelve three China-backed projects, including a $20 billion railway. The party of Pakistan's new prime minister, Imran Khan, has vowed more transparency amid fears about the country's ability to repay Chinese loans related to the multi-billion-dollar China-Pakistan Economic Corridor. Meanwhile, the exiled leader of the opposition in the Maldives, Mohamed Nasheed, has said China's actions in the Indian Ocean archipelago amounted to a "land grab" and "colonialism", with 80 per cent of its debt held by Beijing. "China does not have a very competent international bureaucracy in foreign aid, in expansion of soft power," Anne Stevenson-Yang, co-founder and research director at J Capital Research, told AFP. "So not surprisingly they're not very good at it, and it brought up political issues like Malaysia that nobody anticipated," she said. "As the RMB (yuan) becomes weaker, and China is perceived internationally as a more ambiguous partner, it's more likely that the countries will take a more jaundiced eye on these projects." The huge endeavour brings much-needed infrastructure improvements to developing countries, while giving China destinations to unload its industrial overcapacity and facilities to stock up on raw materials. But a study by the Center for Global Development, a US think-tank, found "serious concerns" about the sustainability of the sovereign debt in eight countries receiving Silk Road funds. Those were Pakistan, Djibouti, Maldives, Mongolia, Laos, Montenegro, Tajikistan and Kyrgyzstan. The cost of a China-Laos railway project -- $6.7 billion -- represents almost half of the Southeast Asian country's GDP, according to the study. In Djibouti, the IMF has warned that the Horn of Africa country faces a "high risk of debt distress" as its public debt per centfrom 50 percent of GDP in 2014 to 85 per cent in 2016. Africa has long embraced Chinese investment, helping make Beijing the continent's largest trading partner for the past decade.  Stevenson-Yang said China's loans are quoted in dollar terms, "but in reality they're lending in terms of tractors, shipments of coal, engineering services and things like that, and they ask for repayment in hard currency." Standard & Poor's said Beijing structures the infrastructure projects as long-term concessions, with a Chinese firm operating the facility for a period of 20 to 30 years while splitting the proceeds with the local counterpart or government.